The close friend of Bobbi Kristina Brown who found her on the brink of death in a bathtub from a drug overdose has himself died of an overdose. Max Lomas was found unresponsive on the bathroom floor of a friend’s house, TMZ reported, citing a law enforcement source in Mississippi. A syringe was reportedly found near his body. He was taken to a hospital, where he later died. Lomas is known to have spent a considerable amount of time with Bobbi Kristina and her boyfriend, Nick Gordon, in the days leading up to her death. He was the one who found 22-year-old Bobbi Kristina near-dead in a bathtub from an overdose. TMZ reported that he was believed to have procured drugs for Bobbi Kristina and Gordon, and that he spent several hours at her home before she died. Lomas repeatedly denied allegations of being a drug dealer but did tell People magazine in 2016 that he had been high on drugs on the night of Bobbi Kristina’s overdose. He said he witnessed an argument between the couple, after which he said they made up. Sometime after that, Lomas found Brown floating face-down in a tub of cold water in the bathroom. He told People he called 911 as a hysterical Gordon performed CPR on his wife in an attempt to revive her. “It was so traumatizing,” Gordon told the Daily Mail. Bobbi Kristina passed away on July 26, 2015, after spending months in a coma. Her father, Bobby Brown, said in a 20/20 interview that he felt he had let his daughter down. “We failed Bobbi Kris. We could have been better. We should have been better. To be so young and have everything we wanted was a blessing and a curse,” he said. The former frontman of R&B group New Edition and his wife, Whitney Houston, struggled with addiction, with Brown admitting to being once hooked on heroin and cocaine. Despite the birth of their daughter, Bobbi Kristina, the couple still abused drugs. They would go on cocaine binges on one end of their mansion while Bobbi Kristina was tended to by nannies in another part of the home. 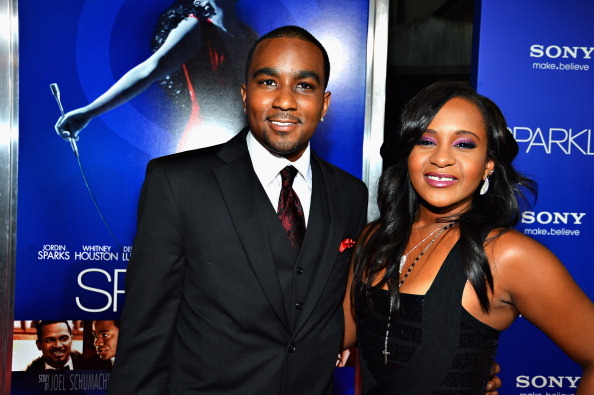 In the interview, Brown admitted his relationship with Bobbi Kristina was on the rocks after the passing of Houston in 2012. Houston was found submerged in the bathtub of her Beverly Hills Hotel bathroom. Cocaine use played a role in her drowning. The family won a civil suit against Nick Gordon for $36 million.